Lawmakers passed a bill April 11 that creates a pilot program offering direct primary care to state employees. 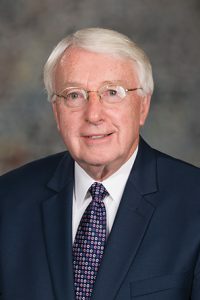 LB1119, sponsored by Ralston Sen. Merv Riepe, creates a pilot program for state employees eligible to participate in the Nebraska state health insurance program. The three-year pilot program will begin in fiscal year 2019-20 and require that the state insurance program include at least two primary care options—one high-deductible and one low-deductible—for state employees. The University of Nebraska system, state colleges and community colleges are not included in the pilot program. Providers will receive a monthly payment of a per-member, per-month fee for each enrollee and be required to continuously monitor care quality measurements. The state Department of Administrative Services will provide the Legislature an annual report on the clinical and financial performance of the program. The bill includes provisions of LB604, also sponsored by Riepe, which adopt the Nebraska Right to Shop Act. The act applies to any health insurance carrier in the state that elects to be subject to it and gives DAS the discretion to develop and implement a right-to-shop program for state employees. The act requires participating insurers to disclose the allowed amount for a nonemergency admission, procedure or service within three working days. The information provided to a patient or prospective patient by the insurance carrier also must identify out-of-pocket costs. Participating insurers are required to develop and implement a program that provides incentives for insured individuals who opt for services from network providers that charge less than the average price paid by the insurer for that health care service. Individuals will receive at least 50 percent of the insurer’s saved costs for each service chosen. Lawmakers passed LB1119 on a 42-2 vote.